By Heidelberger Münzhandlung Herbert Grün …. 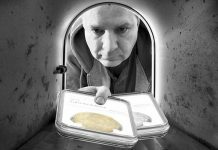 As happened in spring already, Heidelberger Münzhandlung adds to the general catalog a specialized collection in Auction 70. 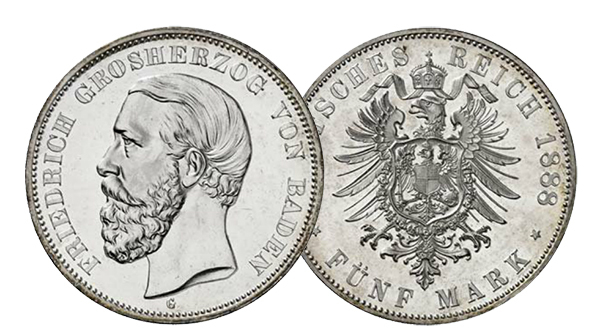 The material on offer comprises 863 German silver coins, starting with 2 marks, minted between 1871 and 1939, in outstanding grades. Containing all dates, the collection is complete, with only three exceptions. 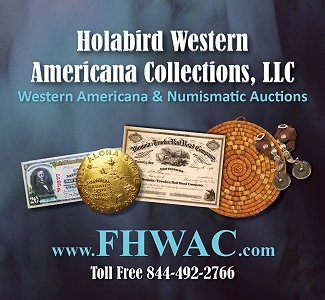 Catalog 69 entails the entire numismatic spectrum, ranging from antiquity to the present day, with nearly 160 lots of ancient coins, 544 lots of world coins and 79 lots of coins from the Holy Roman Empire. As is customary with Grün, the focus is laid on Germany, with 1,052 lots stemming from the German States and 1,153 lots with post-1871 coins. 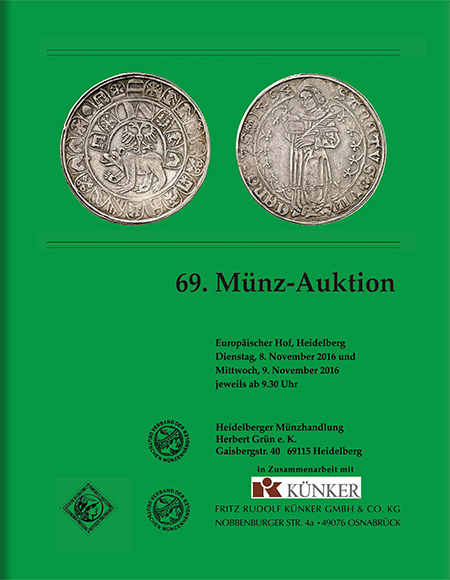 Roughly 160 ancient coins will kick off Auction 69 of Heidelberger Münzhandlung Herbert Grün on November 8, 2016, at the Pfalzgrafensaal at Der Europäische Hof Heidelberg. The connoisseur can look forward to an interesting series of Celtic fractions as well as a collection of strikings of the city of Hyele-Velia. These will be followed by world coins, comprising almost 100 lots of French coins, dating from the 14th century until the present. But, of course, there is much more to come. As is tradition with Grün, many sections contain interesting strikings in grades that are only rarely encountered. A case in point is a patagon of 48 sous, minted by Philip IV of Luxembourg in 1634. This is anything but the only item in an unusually fine grade. Let us mention a Papal silver medal from 1842, featuring a detailed depiction of a harbor, and an extremely rare 25 zlotych piece for Poland, minted in Warsaw in 1818, with the portrait of Russian Tsar Alexander I. 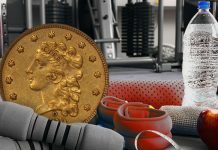 Three rarities at once can be discovered by the collector in the Swiss department: a splendid specimen of a 1851 5 francs piece from Paris, 100 francs 1925, graded MS64+ by NGC, and a very fine, early Bern guldiner dating from 1494. The overseas section offers a small series of Chinese coins, from the early People’s Republic of China until the present. The highlight is a dollar no date from 1912, featuring the portrait of Li Yuanhong. 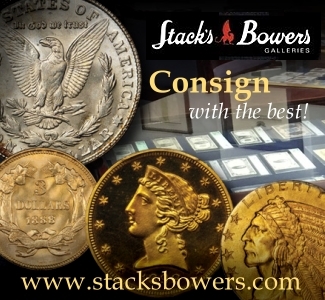 Everybody with a liking for early U.S. gold can rejoice about a very rare 1800 10 dollar piece of the Capped Bust Type. Almost 80 lots comprising coins of the Holy Roman Empire lead over to the German States, on which the auction places a special emphasis. Amongst other things, it entails two large series, namely Baden and Bavaria. 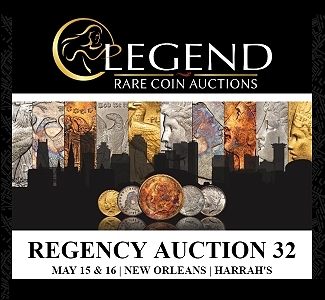 More than 320 lots of coins from Baden will cross the auction block. Chronologically, the material ranges from Bernhard I, Margrave of Baden from 1372 until 1431, to Frederick II, Grand Duke and last ruler over Baden between 1907 and 1918. 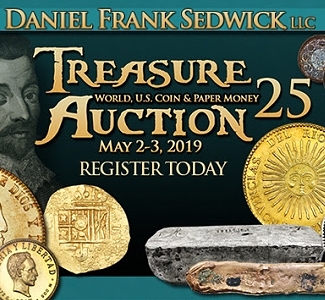 Even though several interesting early modern strikings will be on offer, as a 1714 ducat on the Treaty of Baden or an extremely rare 3 kreuzers piece no date of Frederick VII, it is clear to see that the 19th century is the center of this section. To mention only one example: a kronentaler from 1832 on the visit of the Karlsruhe Mint. 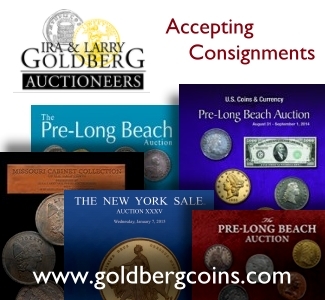 By the way, not just the collectors of coins in the weight of a taler will find their favorite piece. Auction house Grün has once again succeeded in assembling a large selection of fractions. 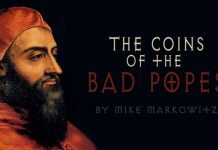 More than 200 lots of Bavarian coins will come next, starting with late medieval times, with strikings of Albrecht IV, Duke from 1465 to 1508. The last item on offer will be a medallion of Prince Regent Luitpold. A broad selection of Kipper and Wipper coins, containing only a small amount of silver, is particularly impressive. 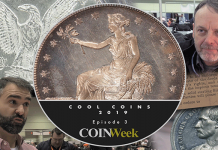 Because the majority of these coins have been melted down, examples of such good a quality are hard to come by. 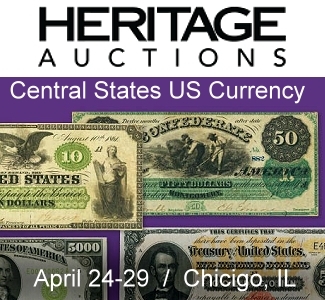 The 19th century is extraordinarily well-represented, as testified, for instance, by a 1803 konventionstaler with a rare legend variant, and a very rare vereinsdoppeltaler from 1865. It goes without saying that rich assortments will also be available from the other German principalities and imperial cities. Almost 100 lots come from Saxony, for example, including a marvelous very rare double taler dating from the Renaissance, featuring the portrait of Frederick III the Wise. Not only the medals and interesting multiple lots deserve mentioning but a small amount of paper money as well. As is customary with Grün, the post-1871 strikings constitute the highlight of the auction. 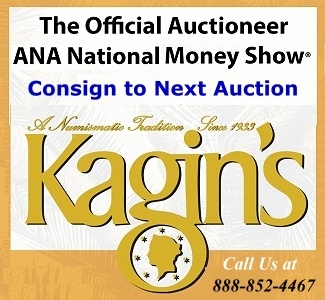 The collection offered in Auction 70 is complemented by the large number of rarities in Auction 69. For starters, let us have a look at the Imperial fractions. A Mint State 20 pfennig piece 1887 E with star under cipher of value is extremely rare. The only item even rarer is an almost Mint State 1 pfennig piece 1905 E with cross under cipher of value. 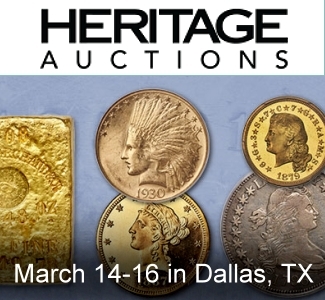 Forming part of Auction 69, the gold and silver coins from the German Empire are remarkable, too. As for the department of silver coins, we have to restrict ourselves to mentioning the Wuerttemberg 3 mark piece 1916 on the 25th Year of Reign of William II, in Proof. 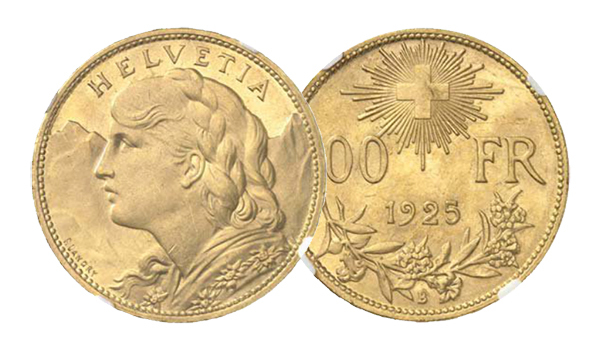 Amongst the gold coins, we only highlight the very rare 1913 20 marks Bavaria in extremely fine to FDC and the 1874 20 marks Schaumburg-Lippe in FDC. The true great rarities are dispersed amongst the strikings from the Weimar Republic. 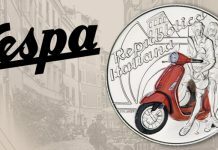 The specialized collector will discover a 5 rentenpfennig piece 1925F, a mule in very fine, of which there is only one single specimen available on the market. Others are an almost Mint State 50 reichspfennig piece 1924 G and a 50 reichspfennig piece 1925 F in Proof. The line-up of rarities is concluded by a pattern for the 5 DM piece 1969F in Proof with the edge lettering of 1970 F, Beethoven: Alle Menschen werden Brüder, translates as All the men will be brothers. It is the only single specimen known to exist. 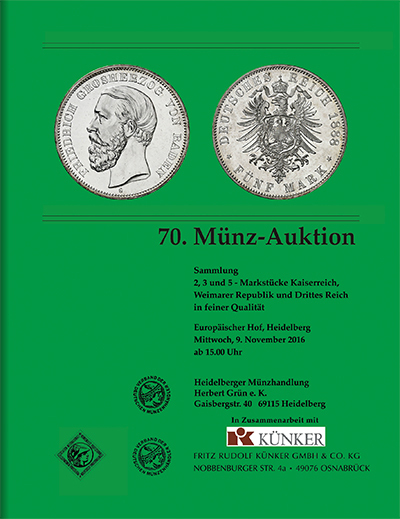 863 German silver coins, beginning with the 2 marks piece, minted between 1871 and 1939 – that is the material, in the finest grade possible, of the collector whose collection will be offered for sale in Auction 70. FDC and Proof is the virtual standard here, with just a few pieces available in “only” extremely fine and just one in “good very fine”. Except for the big three – 2 marks Baden 1883, Bayernhochzeit and Frederick the Wise – the collection is complete. Auction 70 is the auction to attend to for everybody who would call himself a grade fetishist. When do you ever get to see a 5 marks Baden 1875 in the finest FDC? And even another specimen in proof? Of course, 5 marks Baden 1888 in Proof is offered for sale as well – in this grade it constitutes one of the rarest silver coins of the German Empire. Anybody who has ever bought coins at Grün knows that here a splendid specimen is a splendid specimen indeed. And so it says a lot when the auctioneer writes that the 5 marks Bayern 1896 in almost FDC / FDC is the best specimen he has held in his hands in his many decades in business. There are only few examples of the 5 marks Bremen 1905 without the beaded circle available. 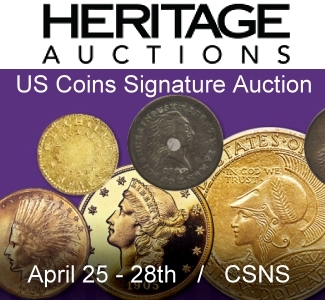 Auction 70 offers the chance to acquire one in almost FDC, as well as the 2 marks 1911 Saxe-Coburg-Gotha – struck on the occasion of the christening of the hereditary prince –, of which only 100 specimens were struck. Needless to add, that the one on offer at Grün is FDC. What makes this collection so remarkable is the fact that the collector not just assembled the great rarities in perfect quality but paid attention to perfection also in regards to the more common types with an estimate in the two-digit region, as testified, for example, by the 2 marks and the 3 marks piece 1913 “Der König rief und alle kamen” (translates as “the king called and all came”). In Auction 70, it will cross the auction block in the best grade imaginable and with the finest patina. 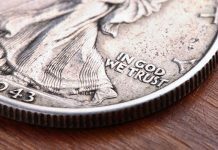 With their incredible quality, the coins from the Weimar Republic and the Third Reich also stand out. To conclude this preview, let us only mention the very rare 3 reichsmarks Eichbaum 1933G in almost FDC. Or visit http://www.hdmhg.de/pgs/Katalog/_Katalog.html for more information. This is likewise the address at which the catalog can be viewed on the internet.